Terrapin beer company, Athens, Ga made a great autumn beer that I thought I posted but apparently I forgot to. 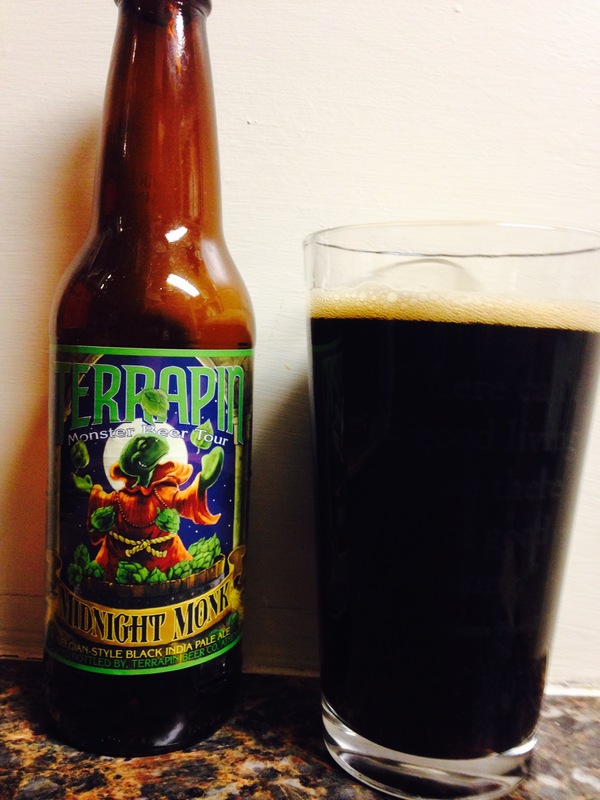 Anyway, because I enjoyed that beer I decided to give “midnight monk” a go. Again I was drawn in by the label, a turtle dressed like a monk and a label that states “something good happens after midnight”. Well the only good I got from this black India pale ale was the 9.8% alc content! The rest is hard to get down. Never had a “black” IPA before but after tonight I will be hesitant to try another. Drink at your own risk. 2 stars for the 9.8%.